Bring a healthy dose of *glamour* to 2019. Let’s shout it all together, now: 2018 is almost OVER! It’s been a crazy year for numerous reasons (just open up Twitter on any random afternoon to see why), but now that’s all coming to an end, hopefully with lots and lots of champagne. Whether you love or hate New Year’s Eve parties—it’s a contested holiday for sure—we’ll gladly accept any excuse to pull out our most glamorous outfits for a head-to-toe *look*. Some of us are going out dancing till dawn; others are staying firmly inside a cozy apartment with close friends and a bottle of tequila. But no matter where you’ll catch us when the clock strikes midnight, you can bet that we’ll be looking damn good. Here are the six outfits we’ll be wearing to ring in 2019. 1. Dion Lee Bonded Crepe Bustier: A gorgeous, simple black bustier is a must for any wardrobe. I dare you to put one on and not feel like a straight-up vixen. This Dion Lee style is meant for ringing in 2019 and every weekend thereafter. 2. 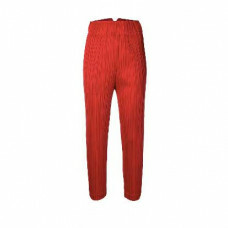 Pleats Please by Issey Miyake Micro-Pleated High-Waist Trousers: I’m obsessed with the entire Pleats Please line, so obviously I need a pair of cherry-red trousers for my night out. Since they’re on sale, I think I might even buy the matching jacket and rock a full suit—my all-time favorite outfit for any occasion. 3. 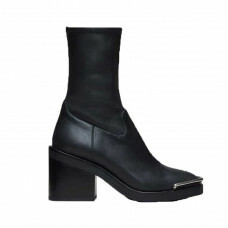 Alexander Wang Hailey Boot: These boots make my heart hurt. And while I’m all for an over-the-top glittery sandal, I plan on hitting the dance floor with my friends at my favorite local bar, so I need some stomp-proof footwear that will keep my ankles steady. Please someone gift me these before NYE?! 1. Attico Faux Pearl Trimmed Ostrich Top: I screamed when I first got a glimpse of Attico’s newest collection. This could be my favorite piece. Isn’t it so fun? 2. 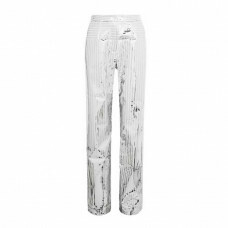 Matérial Space Coated Pants: What is NYE without some SHINE? Nothing, friends, nothing. 3. 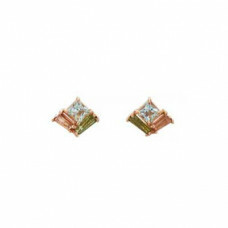 NAK Armstrong Mosaic Mixed Gemstone Stud: Since the rest of my outfit is....loud, my jewelry needs to be more subtle. I love how delicate these little baby clusters are—and they tie in the colors of the Attico feather top perfectly. 1. 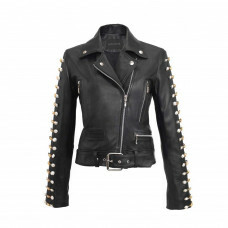 Dan Cassab Mariachi Leather Jacket: Everyone freaks out about the perfect dramatic, fun, sparkly New Year’s dress, but what about the jacket you’ll wear while waiting outside a bar? That’s where Mexican brand Dan Cassab comes in. All the label’s jackets are crafted by Mexican artisans using Mexican leather. (I’m biased, but it’s the best.) This isn’t your typical black biker with silver hardware—slip on this embellished number, and it’ll quickly become your go-to for NYE and every other day of the year. 2. French Connection Square Neck Dress: I call this my “dance floor” dress. Perfect for a shimmy, perfect for a line dance, perfect for a conga line. Call it what you want, it’ll stand out like a disco ball and help you ring in the new year with glitz and glam! How else would you step into 2019? 3. 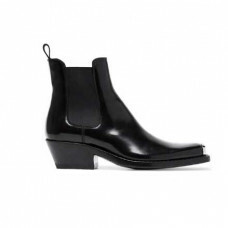 Calvin Klein Steel-Toed Western Boot: Since my dress and jacket already stand out, I want my shoe to look and feel cool and comfortable. 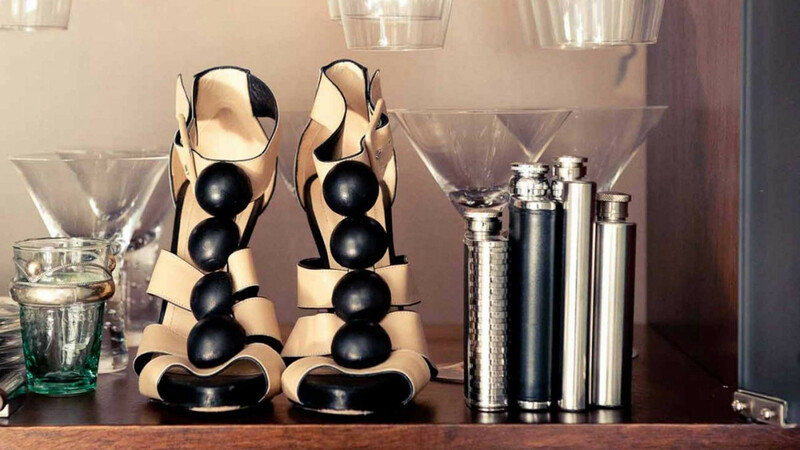 Let’s be honest, a stiletto can’t get you through a full night of dancing. I’m hoping I see these Calvin Klein Western boots underneath the Christmas tree. If I do, I’ll be wearing them to the New Year’s toast, to the all-nighter, and straight to brunch…without looking like I had a rough night. 1. Retrofete Gabrielle Sequin Robe: A few months ago I went to the Retrofete studio, at which point I saw this dress and momentarily blacked out. When I came to, I decided that I definitely needed it for NYE. Not to brag or anything, but I’ll *definitely* be best-dressed in this glamorous sequin number. 2. Gucci Draconia Ankle Strap Sandal: If you think I’m ringing in the New Year in anything besides sky-high strappy sandals, you’re mistaken. Catch me twirling on the dance floor in these metallic beauties. 3. 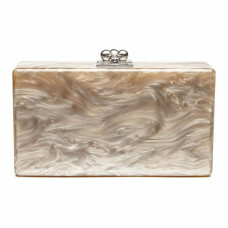 Edie Parker Jean Solid Clutch: I’ll only need the essentials (ID, debit card, lipstick, hand sanitizer, lotion), so this clutch is perfect. Plus, it has a mirror inside! 2. Gianvito Rossi Blush Plexi Ankle Strap Pumps: Gone are the days when I’m falling over drunk, but this purple dress calls for teetering heels that will probably leave me just as wobbly. But my legs will look so good. 3. 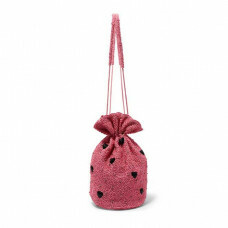 Ganni Embellished Satin Pouch: With a final touch of bubblegum pink, my New Year’s outfit is bringing me back to my kindergarten days when I fought my teacher for an hour because I wouldn’t choose between pink and purple as my favorite color. It’s a departure from my current palette, but maybe a sign of a very girly year to come. 1. Gant Full-Length Sequin Skirt: My New Year’s Eve will be spent cooking dinner and sipping on wine with a few close friends, but just because the night will be low-key doesn’t mean I can’t get a little fancy. This Gant skirt is all I need to feel glam all night long. 2. Unravel Project Cropped Cotton-Terry Hoodie: Add a cropped hoodie to the sequin skirt, and we officially have ourselves a cozy-chic look. 3. Prada Logo Knit Sneakers: If you know me, you know that nine times out of 10 I’m opting for sneakers over heels. New Year’s Eve is no exception. These Prada sneakers keep the look both polished and comfy.